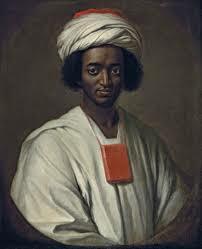 WASHINGTON, DC—In 1752 during the height of the slave trade, Yarrow Mamout, a 16-year-old Muslim was captured in Guinea and shipped to Annapolis, Md. where he was bought by the Beall family who moved him to DC. After 44 years as a slave, he was freed and bought a home in Georgetown at 3324 Dent Place. He is reportedly buried in his home facing Mecca, in the same corner where he prayed. This site is now the focus of an archaeological dig by the DC Historic Preservation Office (DCHPO). August 14, Yarrow Mamout was recognized during a ceremonial funeral prayer and program with The Nation’s Mosque Masjid Muhammad and the DCHPO. “We have a connection with Bro. Yarrow. We purchased a building from his slave master’s family. We’re going to tear that building down and rebuild to dedicate it to Yarrow,” said Masjid Muhammad’s Imam Talib Shareef. Yarrow Mamout was extraordinary for his time. He could read and write in Arabic as well as write his name in English. After slavery he became an entrepreneur, homeowner and financier who owned stock in the Columbia Bank of Georgetown. A portrait of him hangs in the Peabody Room of the Georgetown Library. Amir Muhammad, curator at the American Islamic Heritage Museum, has been trying for years to make the legacy of Yarrow Mamout known. The program included words and attendance from Rev. Donald Isaacs, Director of the DC Office of Religious Affairs, Dr. Ruth Trocolli, archeologist with the 2015 Yarrow Mamout Archeological Project, Deborah Tulani Salahu-Din from the National Museum of African American History, Howard University’s Dr. Sulyman Nyang and Abdul Akbar Muhammad, International Representative of the Nation of Islam. The program was moderated by Muhammad Fraser Abdur Rahim, Ph.d student and part of the archeology project. Former South African Ambassador, Scholar in Residence at Georgetown University Ebrahim Rasool and founder of the World for All Foundation spoke about the celebration of slave ancestry that takes place in his homeland.